In today’s visually-oriented world most people have seen an optometrist professionally or have a family member or friend who has done so. The visit may have been for eyeglasses or contact lenses. However, prescribing and dispensing glasses and lenses is only the tip of the iceberg of what a doctor of optometry is trained to do. In fact, a doctor of optometry is a primary eye care provider. We’d like to tell you more about what that term means for your good health. What is a Primary Health Care Provider? A primary health care provider is the health care professional you are likely to see first regarding your general well-being. Your family doctor, who is probably a general practitioner, is one. Optometrists are the eye care professionals most likely to see you first in matters relating to the eye. They are educated and trained to diagnose a wide range of conditions relating to your vision and your general health. In fact, the optometrists’ education is comparable to that of other primary health care providers. Optometrists are best known for treating refractive disorders. Refraction is the process by which the eye bends light to form an image on the retina. Impaired refraction creates distorted vision. The most common refractive disorders are myopia (nearsightedness), in which the eye focuses light in front of the retina, and hyperopia (farsightedness), in which the eye focuses light behind the retina. 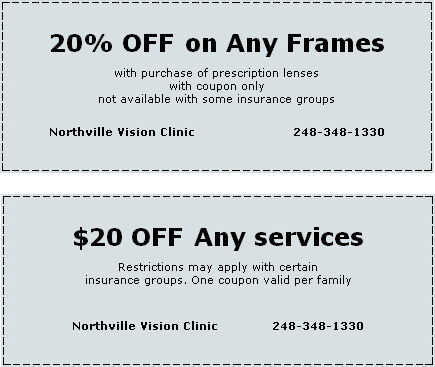 These disorders generally require the prescription of corrective lenses. When treating refractive disorders with corrective lenses, optometrists check for any concomitant aberration of the eye’s lens, such as astigmatism. Lens aberrations impact the way the eye focuses and their presence generally requires modification to prescriptions for refractive correction. Optometrists also treat other common eye conditions such as low vision, amblyopia (lazy eye), strabismus (eye turn) and convergence insufficiency. Convergence insufficiency, or the difficulty in getting both eyes to focus together on one subject, results from dysfunctional eye muscles and is characterized by blurred or double vision. Optometrists treat these conditions through the application of lenses, prisms and exercise, or vision training. As mentioned, optometrists dedicate a significant portion of the routine eye examination to checking for the presence of disease. 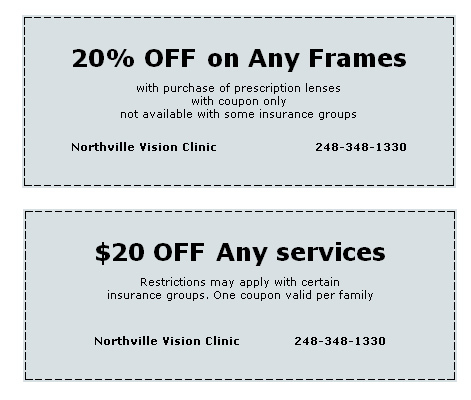 As a primary eye care provider, the optometrist’s office is a portal of entry into the health care system. Thus, an optometrist may diagnose an ocular or systemic disease before it presents other symptoms to the patient. Some of the diseases diagnosed during the dilated eye exam include cataracts, glaucoma, diabetes, high blood pressure and neurological disorders. Early diagnosis may be of great assistance in arresting the progress of these diseases or lessening their harmful side effects. Upon diagnosing these diseases, optometrists will refer patients to the appropriate health care professionals should further treatment be needed. Optometrists also co-manage treatment for the ocular complications of these diseases and the adverse ocular effects of their medications. Co-management of laser refractive surgery, or LASIK, patients is a growing niche in today’s optometry. The recent surge in LASIK popularity has created an increased need for post-operative care of surgical complications. Optometrists’ key role in providing pre- and post-operative care for refractive surgery patients is a natural outgrowth of their role in co-managing treatment for post-surgical cataracts, glaucoma, ocular complications of diabetes, high blood pressure and retinal degeneration.